Defend your airspace using only a drone, a stun gun, and some duct tape. A weekly livestream interactive quiz, where the audience compete to be crowned quiz champion. We are Centrifuge. We make games. An indie microstudio based in Newcastle-under-Lyme, we develop games for web, mobile and PC. We were one of the first developers of Windows Store apps, we've been TIGA Awards finalists two years running, and we're now innovating in the field of realtime interactive streaming. Interactive stream games. Go beyond soundboards. 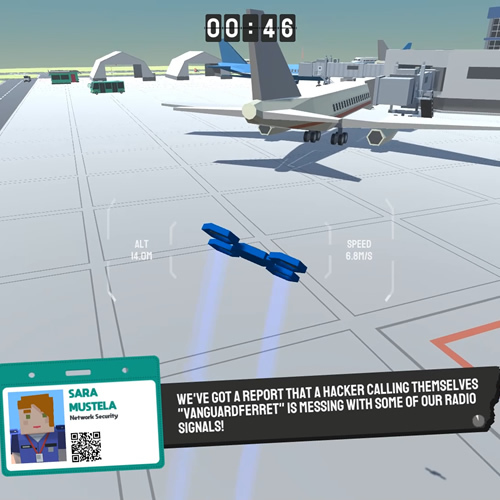 We specialise in interactive livestream games, supporting realtime audience interaction in Interference and Rouge Drones - allowing your viewers to feel like they're involved in the game, instead of just watching. We like to talk. Learn from our mistakes. 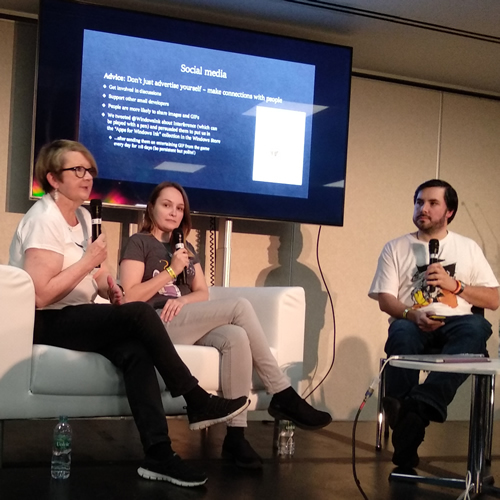 We're not afraid to talk about the mistakes and incorrect assumptions we've made along the way, and have hosted panels at events like EGX where we've shared our experiences with aspiring indie devs. 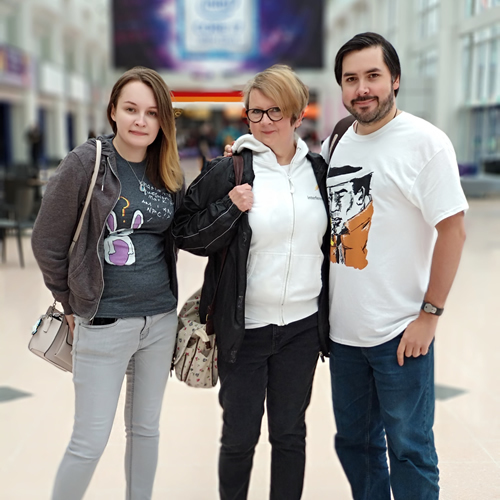 A former librarian, Berni is our marketing manager and writer, generating a steady stream of quiz questions and puzzles for our games and interactive streams. Sysadmin turned trainer turned programmer, Nathan is our lead developer, writing code for our games and their backend services. Alongside content creation for our interactive streaming channels, Sarah manages the growing community across our forums and Discord server. This site doesn't collect any personal data.